If you have been charged with a criminal offense in Wakulla County, Florida, obtaining experienced representation as early in the process as possible is important so that all avenues of attacking the charges are preserved. Call an experienced criminal defense attorney at Pumphrey Law for any arrest or prosecution in Crawfordville, Sopchoppy, Panacea or Saint Marks. The State Attorney’s Office for the Second Judicial Circuit takes an aggressive stance in prosecuting criminal offenses, including a first DUI offense in Wakulla County. An experienced criminal defense lawyer can aggressively fight to protect you throughout the entire process from the pre-file investigation, emergency bond motion, pre-trial motion hearings through trial. 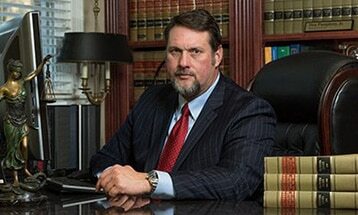 Our attorneys work hard to minimize your stress and aggravation while fighting for a positive result. Call (850) 681-7777 to speak with an attorney about what you need to do immediately to protect your rights. We created this website to provide you with general information about some very specific criminal offenses, such as simple marijuana possession in Crawfordville, that are commonly prosecuted. Our website contains general information about a range of topics, including common defenses to criminal charges, the possible statutory minimum and maximum penalties, and the elements of the criminal offense that must be proven at trial. The only way to obtain legal advice, however, is to speak directly with an attorney about the facts and circumstances of your specific case. If you have been charged with any serious criminal offense, either a felony or a misdemeanor, then contact an experienced attorney at Pumphrey Law. We are available to discuss the case with you. Although seeking out general information on the internet is an important first step, no substitute exists for speaking directly with an attorney. This link allows individuals to track their personal criminal or civil cases that originate in the county. This link provides specific data that pertains to Wakulla County. Here you can see county demographics, crime statistics in the county and other resourceful information. If you have been accused of a crime in Wakulla County, get the advice of an experienced Wakulla County Criminal Attorney. Contact Pumphrey Law today at (850) 681-7777 or send a convenient online message to schedule a free consultation with a criminal lawyer.